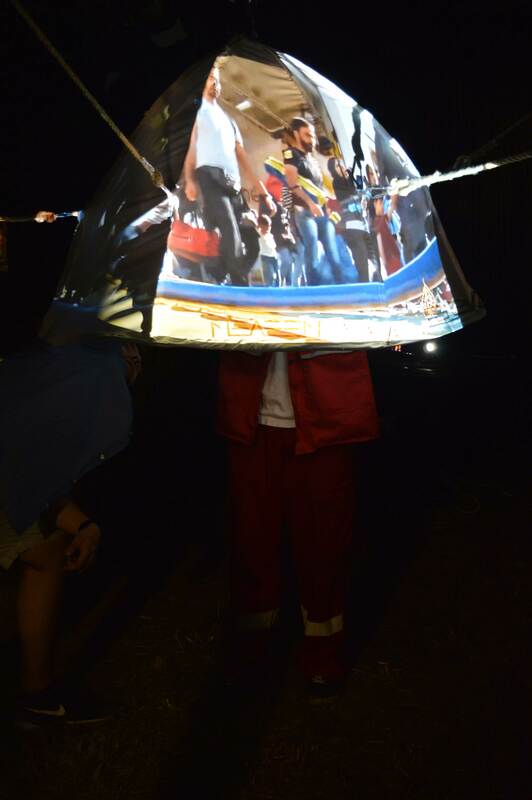 “Floating” is a hanging tent that represents temporary “home” of migrants on their way to the exit from the occurred situation. The idea of floating shelter stems from the inability of these “temporary homes” of migrants who are in constant motion, to fixate on one ground. The volume symbolizes the Earth on which we all live in different everyday life situations, and one of those is the daily life of migrants. 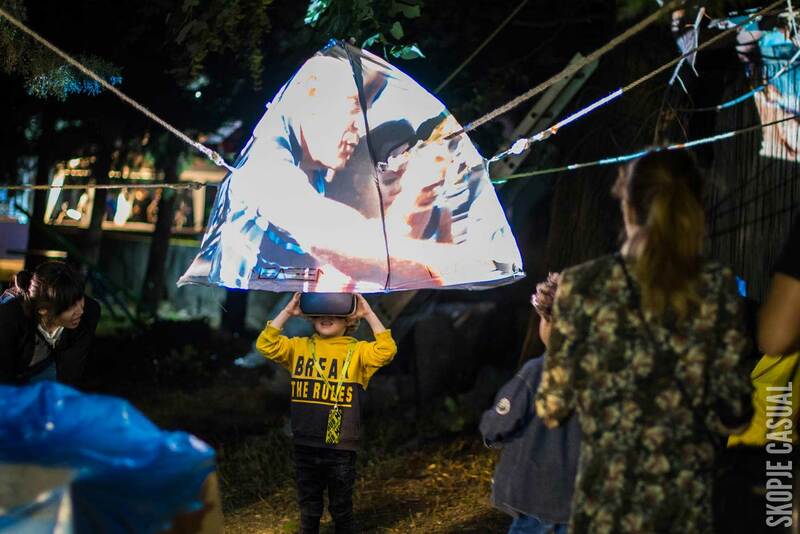 The visitors were able to enter the volume, symbolizing the tent as temporary housing, positioned between the trees, and for a moment to feel the life that these people live. 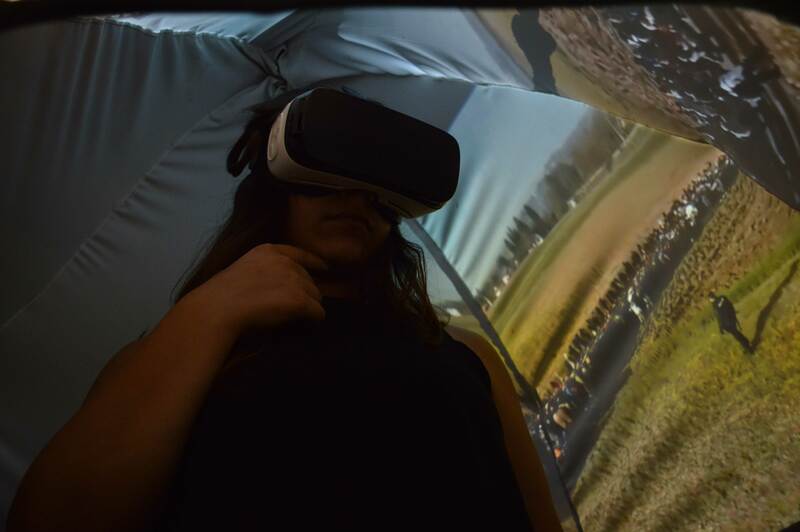 On the outside of “Floating” were projected videos from the path of the migrants, and inside they could use a virtual reality headset and really experience the migrant camps and walk through them. 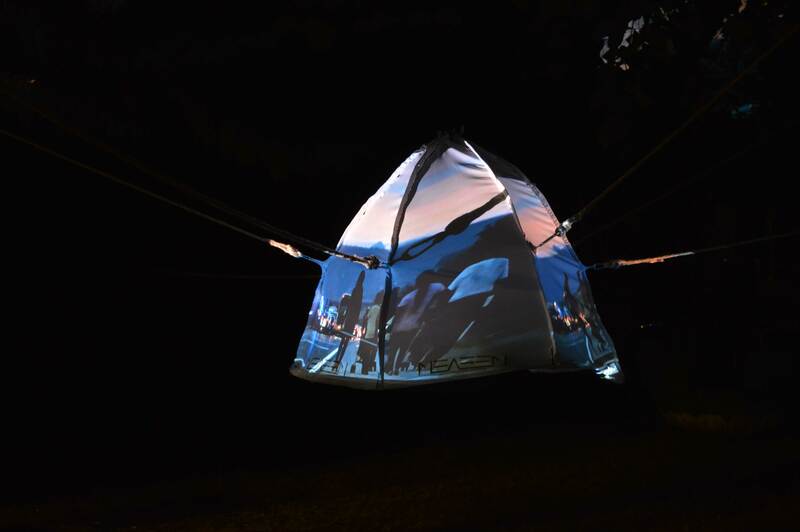 The installation “Floating” wants to address the current global situation of mass migration of the endangered population and life’s challenges through which migrants pass and face on a daily basis. 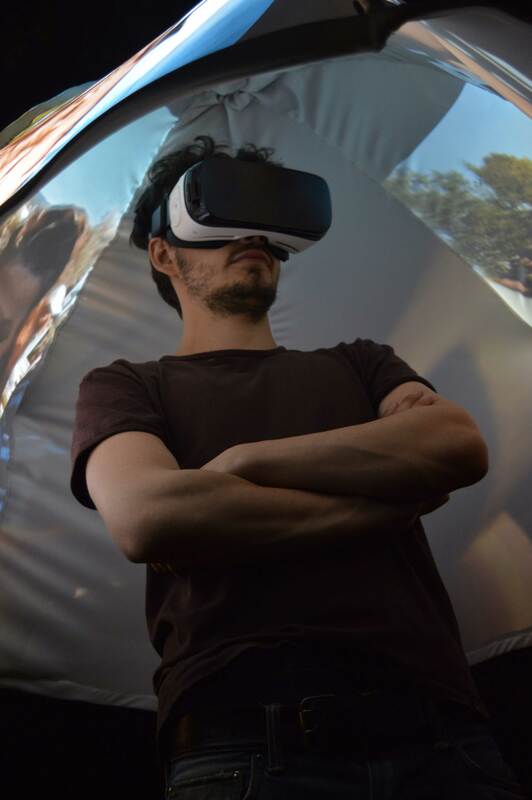 By setting the “Floating”, we wanted the visitors to capture the atmosphere of migration that takes place in the past period and bring this global problem closer to them. The installation was realized on the 11th of June 2016. See the “Making of” video about Lebdenje here.